allows students to quickly excel in FFA CDE areas of study. A complete online tool that combines visual, audio, and text based learning to maximize each students potential in preparing for the CDE. 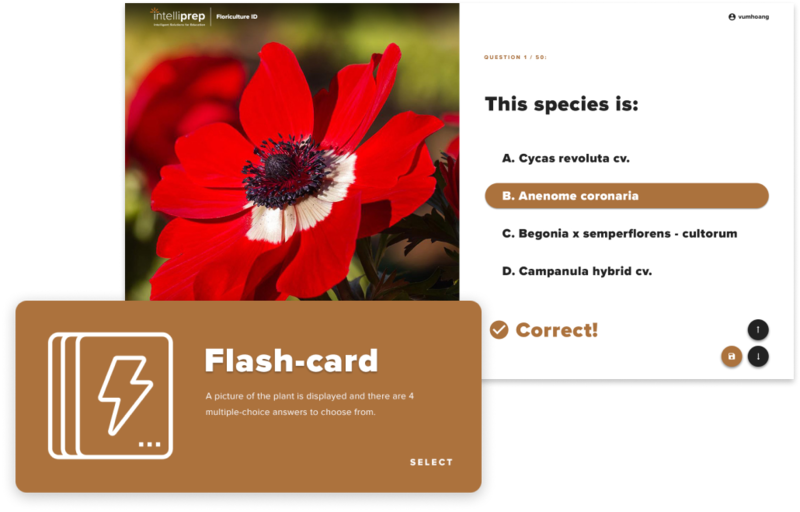 Customizable quizzes give direct feedback to a student’s ability to recognize and properly identify subjects. With proven teaching techniques and engaging technology, Intelliprep has created CDE competition preparation that empowers both instructors and students in the classroom and out. 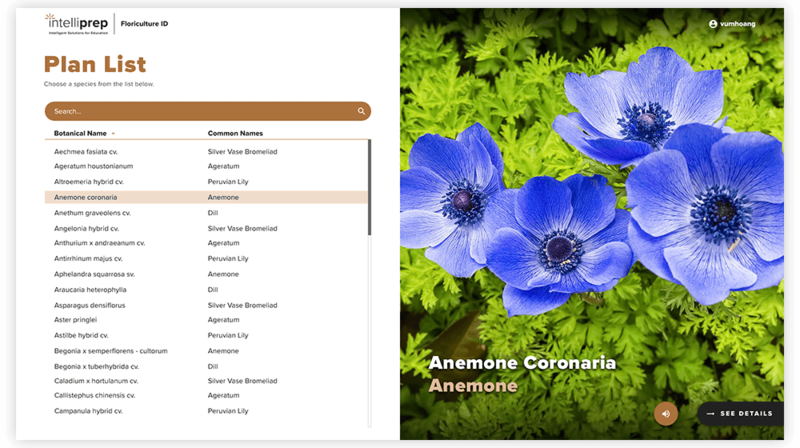 116 species in the FFA Nursery/Landscape ID competition with more than 665 high-resolution photos, common and botanical names plus audio pronunciation of each botanical name. 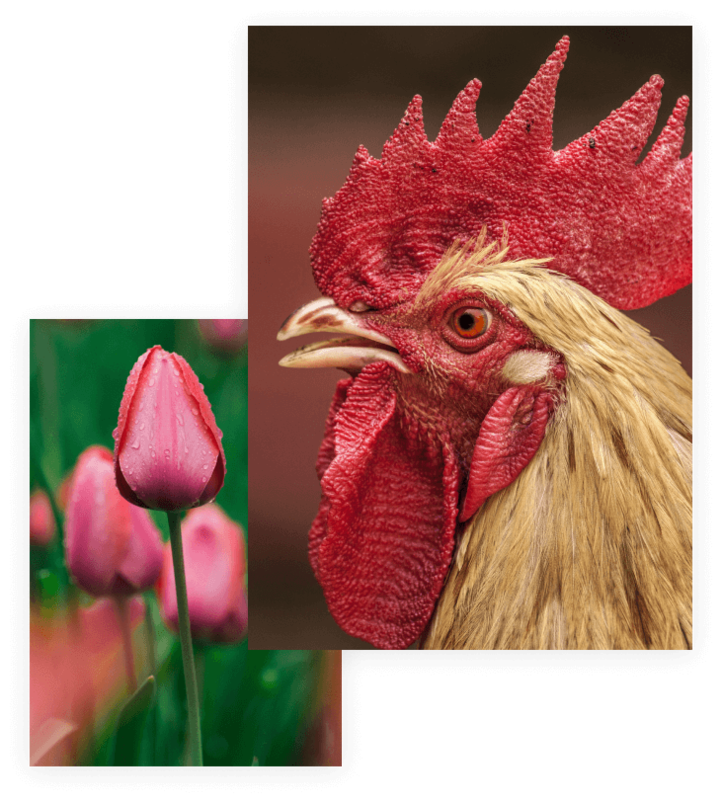 Multiple photos and ID facts, three levels of customizable quizzes, and all the “further processed” poultry cuts, poultry carcass parts, carcass grading examples, egg grading including interior and exterior quality and candling. 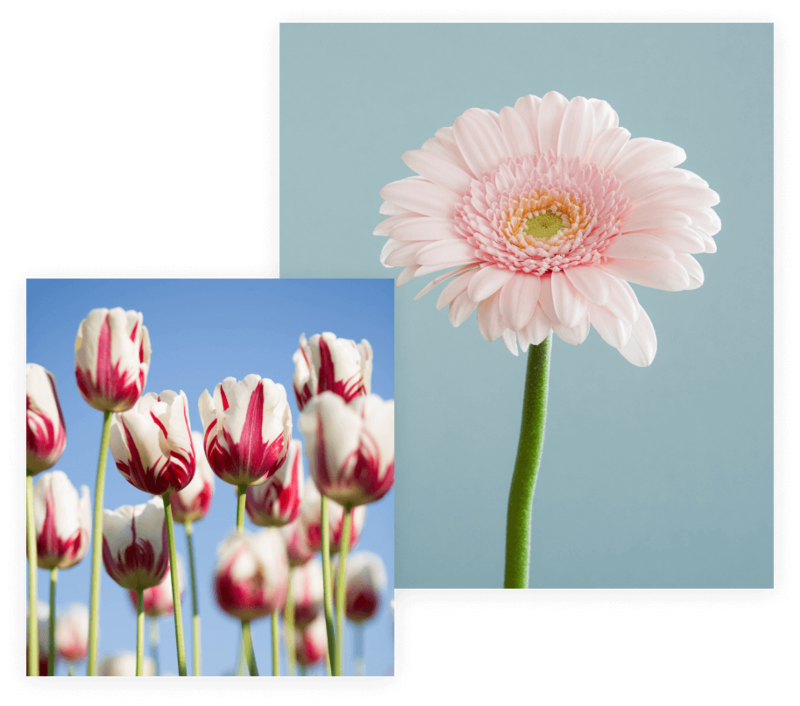 124 species of with more than 500 high resolution photos, common and botanical names and audio reading of each botanical name’s proper pronunciation. 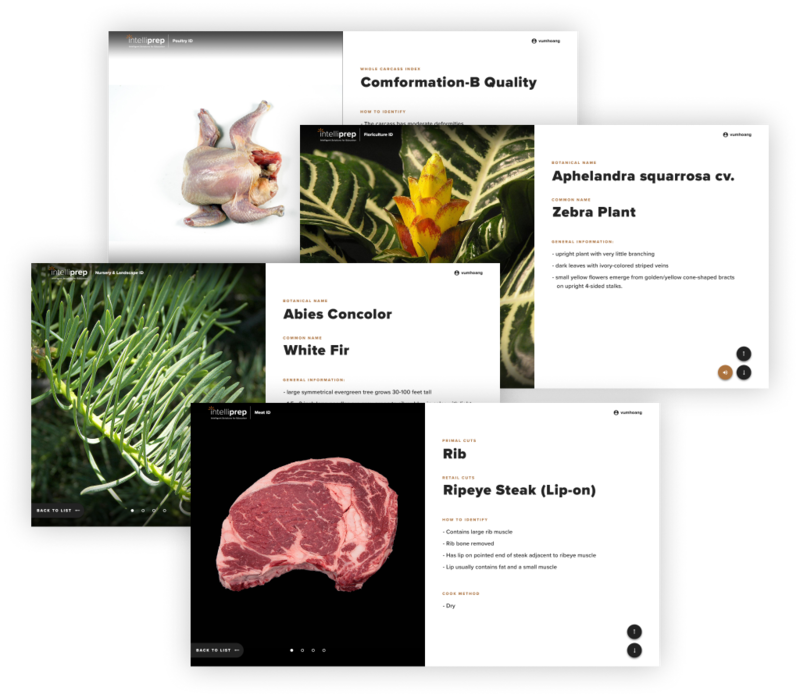 135 retail cuts and the corresponding primal cuts on the species of beef, pork and lamb in preparation for the Retail Meats ID competition. Coming soon. Register to be emailed when we release! – Illinois Mathematics and Science Academy Instructor. Not ready to change to our online version? Contact us if you have questions concerning any of our products or would like to be put on our email list for receive future promotions and notifications. We do not share or sell your information with/to any other business or group.